Filipinos will be marking the 157th birth anniversary of famed writer and Spanish-era hero Graciano Lopez-Jaena this December 18. The day, which this year falls on Wednesday, is a special non-working holiday in the province of Iloilo and its capital Iloilo City. This is stipulated in Republic Act (RA) 6155. The law came into effect during the time of then-President Ferdinand Marcos. Read the full content of RA 6155 on this link. To further stress the significance of Lopez-Jaena’s birth anniversary, both Houses of Congress in 2001 designated December 18 as a special working public holiday nationwide. This was done through RA 9070, which was signed by then-President Gloria Macapagal-Arroyo. Read the full text of RA9070 here. A native of Jaro, Iloilo, Lopez-Jaena is one of the three leading figures of the Propaganda Movement, together with Marcelo del Pilar and national hero Jose Rizal. 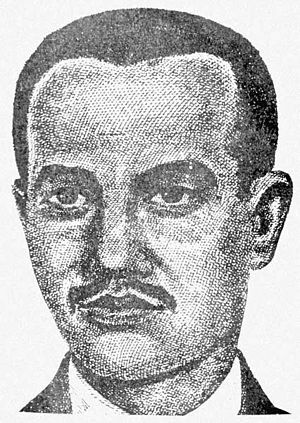 He served as the first editor of the nationalistic newspaper La Solidaridad. Lopez-Jaena will be forever remembered for writing the satirical poem Fray Botod, which ridiculed the abuses committed by Spanish friars at that time. He died of tuberculosis in January 1896. His contemporaries Del Pilar and Rizal also on the same year. This entry was posted on Saturday, December 14th, 2013 at 11:08 pm	and tagged with december 18 2013 holiday iloilo, december 18 2013 holiday iloilo city, december 18 2013 holiday philippines, december 18 holiday iloilo, graciano lopez jaena day 2013, graciano lopez jaena holiday, lopez jaena day 2013 and posted in history, holiday announcements, philippines. You can follow any responses to this entry through the RSS 2.0 feed.